OUR INNOVATIVE EQUIPMENTS ARE DESIGNED ACCORDING TO YOUR NEEDS. State-of-the-art equipment well adapted to productivity challenges ensures the growth and success of your company. 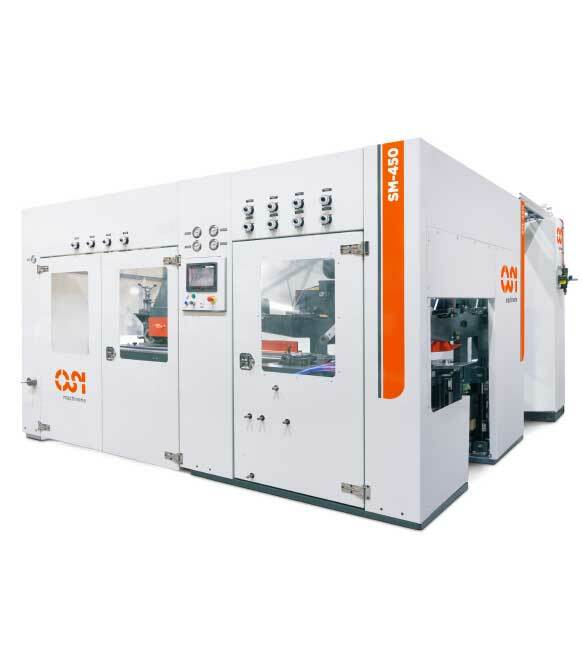 Our equipment optimizes your resources, improves the quality of your finished products, limits operator intervention and increases your production speed. Our self-centering planer, with its unique patented automatic centering technology, processes all your pieces to an incomparable precision thickness.This revolutionary equipment optimizes the processing of each board, significantly increasing the material yield of your production. With proven reliability, our planer is the key to increase performance, reduce costs and improve product quality. Our side-matcher offers a unique concept that breaks tradition while molding hardwood floors with just one machine. Its opposed cutting heads and drive system makes it the only equipment that can process short boards at high speed with ultimate precision. The most accurate and fastest on the market, our end-matcher produces boards of unmatched quality from wood of various sizes and species. 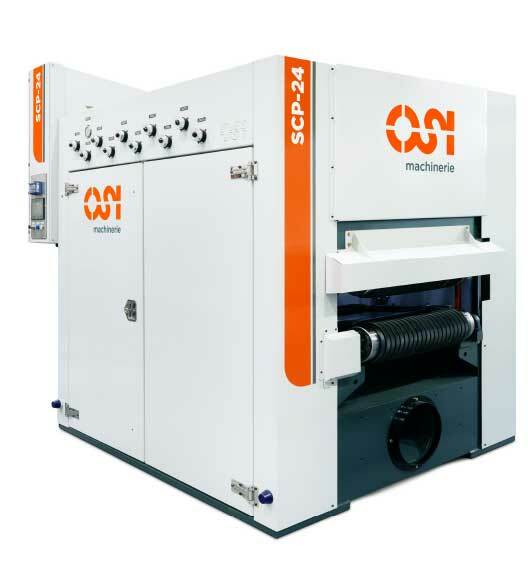 The design of each end-matcher takes into account the specific layout parameters of your plant, such as the speed of your production line, the length and width of your product, and the species of wood you use. 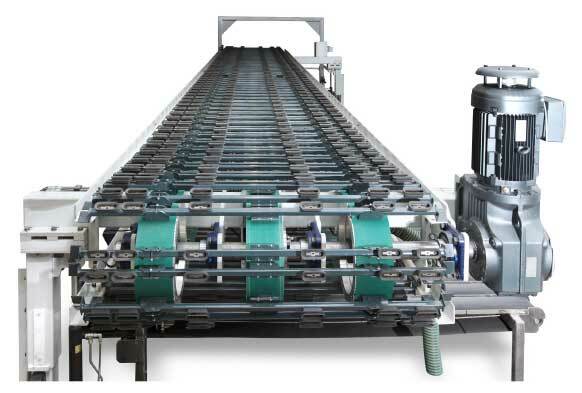 Our vacuum board sorter processes the boards according to length, width, grade or combination of all these criteria. 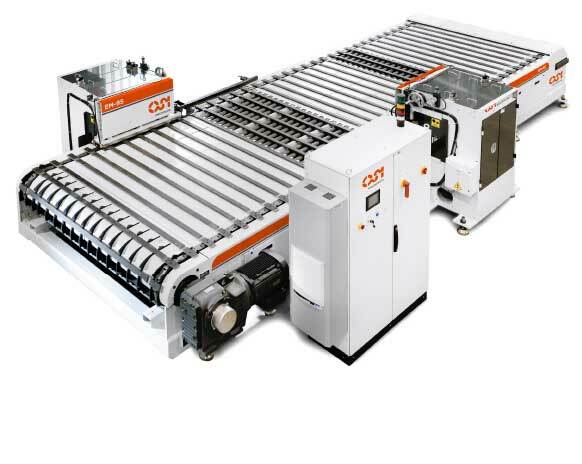 This equipment provides you with exceptional efficiency in high productivity situations - even when the production rate reaches 250 boards per minute.